The Chinese hookah is a revolution for the hookah smoking world. Although hookah seems to become more popular by the day, there is always room for appealing to a more mainstream audience, and the Chinese Hookah is leading that charge. China has taken the traditional hookah smoking practice that has been enjoyed for thousands of years and has helped make it accessible to smokers worldwide via affordable and readily accessible Chinese hookahs. 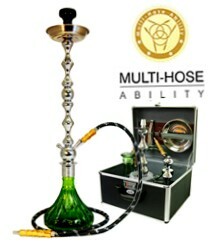 We at SouthSmoke.com have quality-made Chinese hookahs for sale that are ready to ship right to your door. Check out our selection now! China has long been known for quickly producing large amounts of products. 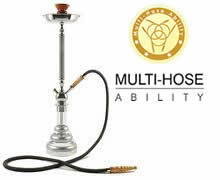 Now, we are excited to share that Chinese Hookahs can be listed among the country's wide array of offerings. 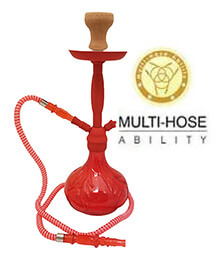 A Chinese hookah combines quick, quality production value with the look and feel of the traditional Middle Eastern hookahs we all know and love. 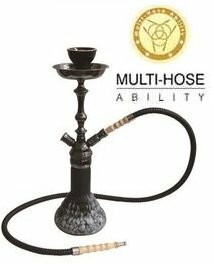 Keeping true to what makes hookah great in the first place, Chinese hookah manufacturers include all the necessities and industry standards on their hookahs. From multi-hose conversion with auto-seal technology to screw-on stem-to-vase capabilities, Chinese hookahs are easy to use and ready for your smoking pleasure. Many Chinese hookahs come in presentable retail-style boxes or strong, hard carrying cases to ensure their protection at all times. 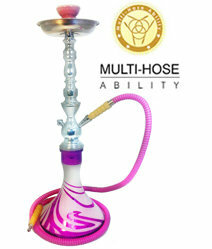 A Chinese hookah can meet all your needs for a quality hookah that looks as good as it smokes. When used for decorative purposes, these artfully designed hookah pieces can add an essential feng shui element to your home. 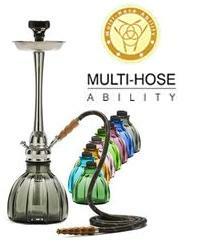 And of course you can always choose to use your hookah for quality time with your friends! Chinese hookahs can let you accomplish both. 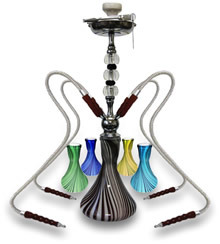 Regardless of your smoking style, aesthetic preference for a certain style of hookah, or a specific hookah brand, Chinese hookahs are everything you need and more. And best of all, they're at prices you can afford. 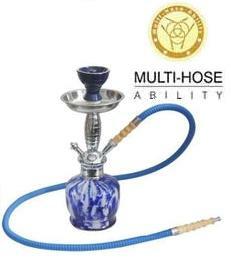 Chinese hookahs make ideal wholesale hookah orders. 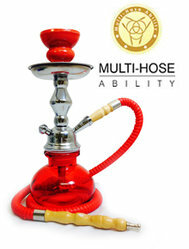 Their affordability is practically unmatched by any kind of hookah from any country of manufacture. 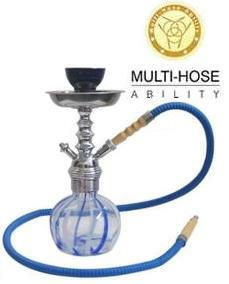 Although produced at a high rate, Chinese-made hookahs do not lack in the quality department. 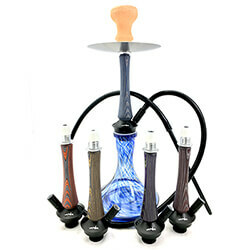 You can rely on the craftsmanship of wholesale Chinese Hookahs at SouthSmoke.com. 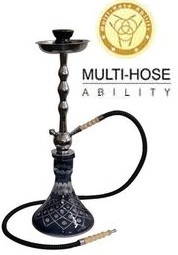 We're sure we can meet and exceed any and all of your hookah preferences with our unbeatable selection of only the finest wholesale hookahs and hookah accessories available online. 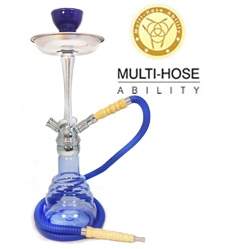 Looking for a specific style of hookah not available in our Chinese Hookah selection? No worries! 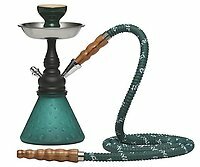 SouthSmoke.com offers a huge selection of fine hookahs for novice smokers to true shisha aficionados. 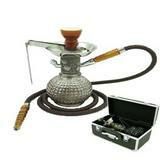 Just browse our hookahs and hookah accessories to find what you're looking for. 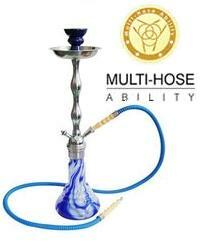 Or better yet, contact us and let us help you locate the perfect hookah product.